This site is an implmentation of an open-source project from Fellowship Technologies/Active Network called f1-pco. This code is free for churches/3rd paties to use AND IMPLEMENT THEMSELVES. This site is a demo implemnation of this code pointed to STAGING data for Fellowship One. Since Planning Center doesn't have a "sandbox" environment (that we are aware of) this site is still pointed to PCO's production data. So if you elect to use this site you will be syncing staging/sandbox data from Fellowship One to production data for Planning Center Online. 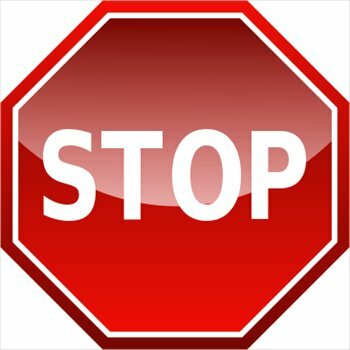 This site will NOT syncronize your production Fellowship One data with your production Planning Center online data. You use this site at your own risk. This site is NOT supported by Fellowship Technologies/Active Network. If you understand and agree with the above statements you may continue below. Please understand that in the instructions below it is referring to the staging version of portal (https://staging-www.fellowshipone.com/) not the production version (https://portal.fellowshipone.com/login.aspx). Finally, you can now sync your Fellowship One data with Planning Center Online keeping your volunteers contact data up to date with the click of a button allowing you to further streamline you minitry tasks. If you've already setup your church, the click the Get Started button below. Otherwise follow the instructions to setup Fellowship One in order to allow for syncing. If you've already setup your church to be able to sync then you are ready to go! 1. Enable access to the Fellowship One/Planning Center Online application. As part of Fellowship One's security control's you must explicitly allow access to you churches database by a third party application. Login to F1 as an administrator. Click Admin and then under Integration section click Applications. You’ll be presented with a list of 1st, 2nd and 3rd party applications available for your church. Scroll down to 3rd party apps and click on the Fellowship One for Android application. If the application is not already enabled, click on the button that says Grant Access. If you have already enabled access to the application and now want to revoke access, click on the Revoke Access button. You'll need to create a new attribute called "SyncMe" that will be assigned to all individuals that you want to sync with Planning Center Online. Click Admin and then under People Setup section click Individual Attributes. Type “Planning Center Online” in the field for Attribute group name and then click Add attribute group. 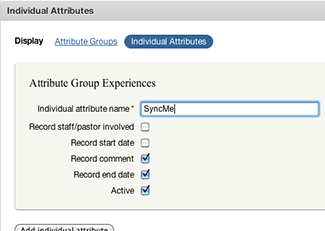 Click on the tab Individual Attributes, type "SyncMe" (with no quotes and no space between the words) in the field for Individual attribute name, check off Record comment & Record end date and then click Add individual attribute. Finally, now that you have created the SyncMe attribute you need to assign it to all the individuals that you want to sync with Planning Center Online. Search for an individual in Fellowship One and goto the Individual detail record. Choose the "SyncMe" attribute and click Add Attribute (do not put anything in comment or end date). Now you should be ready to go! Click the get started button above.